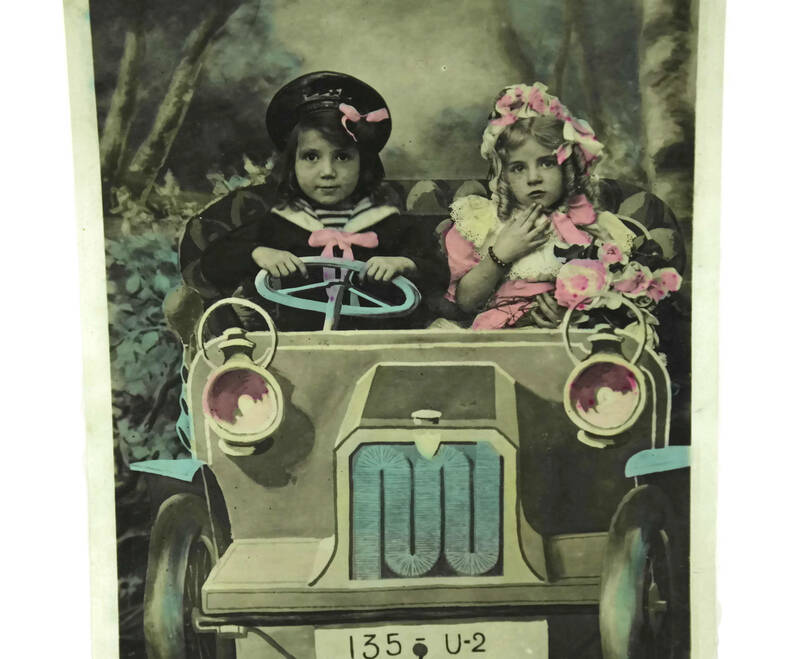 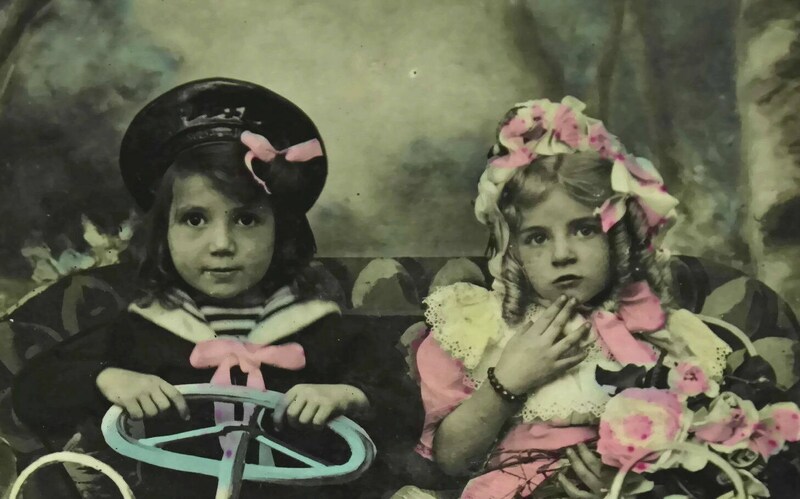 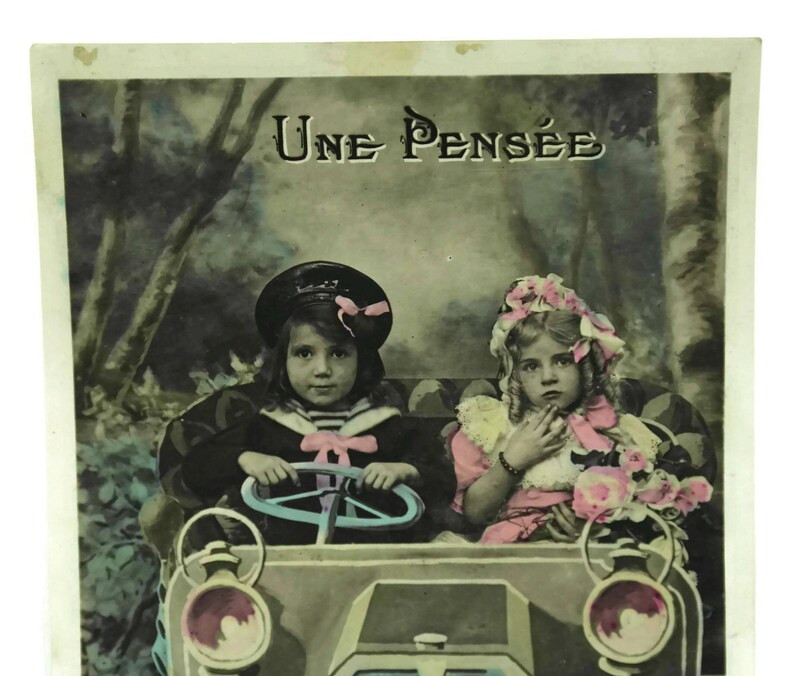 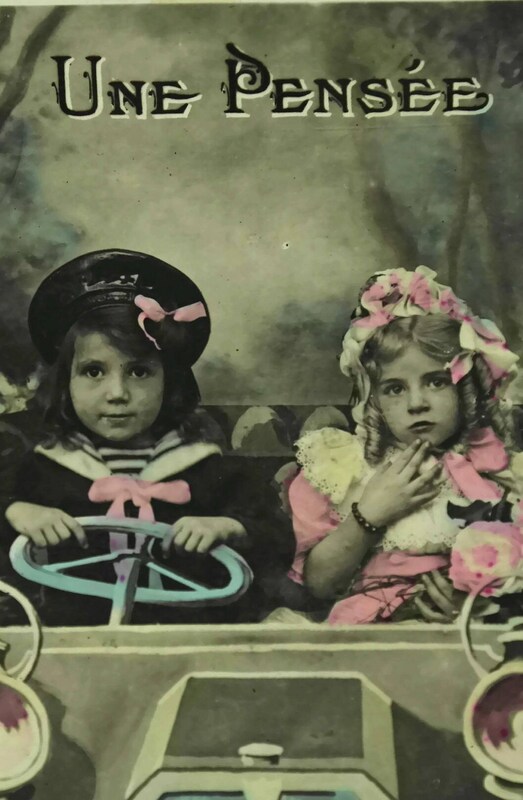 An adorable antique French postcard with Victorian children in a car. 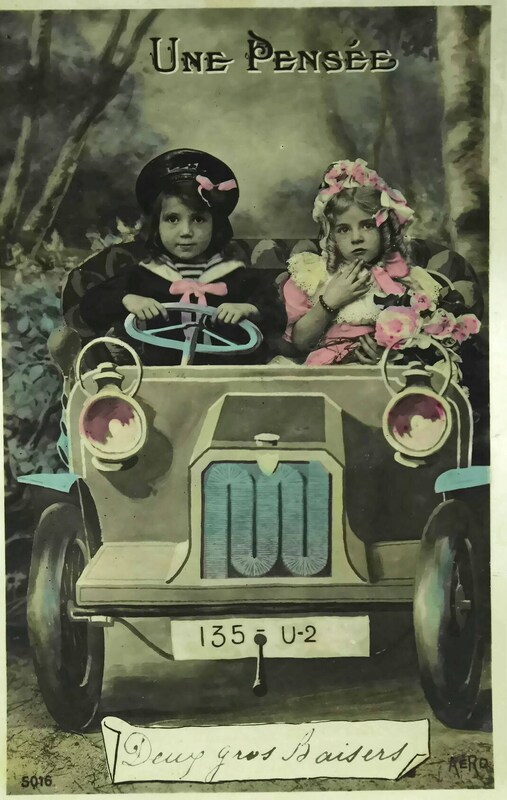 The old French greeting card dates to the early 1900s. 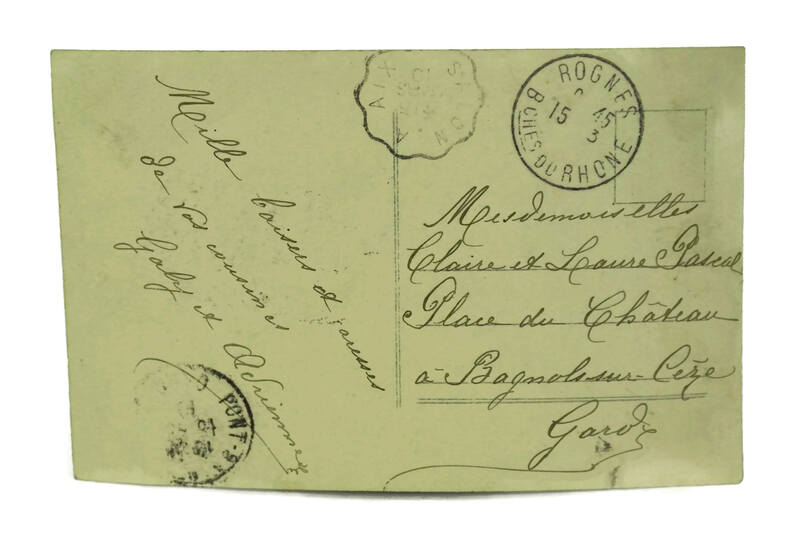 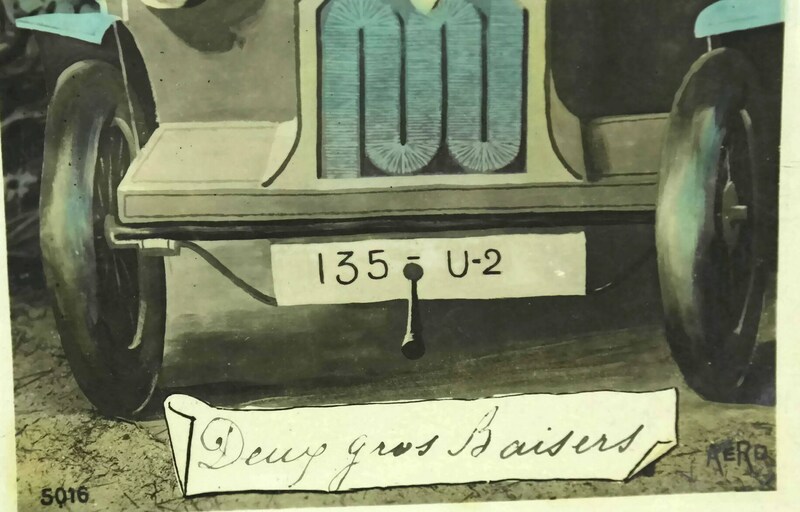 It has been hand-tinted in pastel shades and features a hand-written message in French on the reverse side. 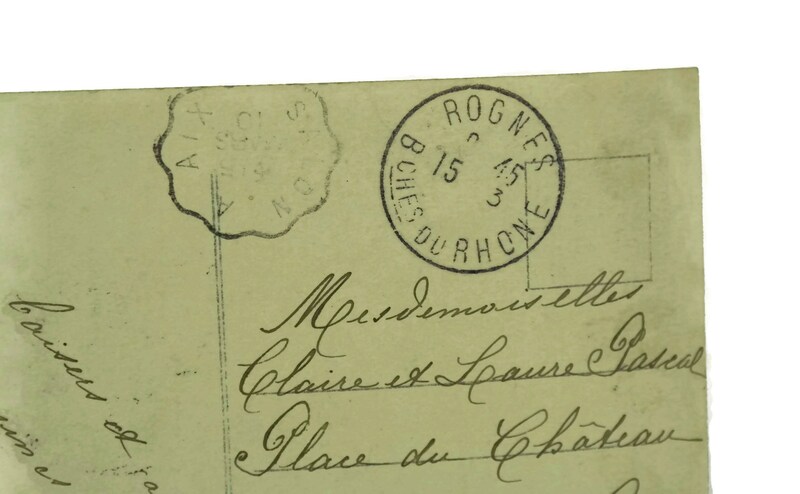 The romantic card has been postmarked. 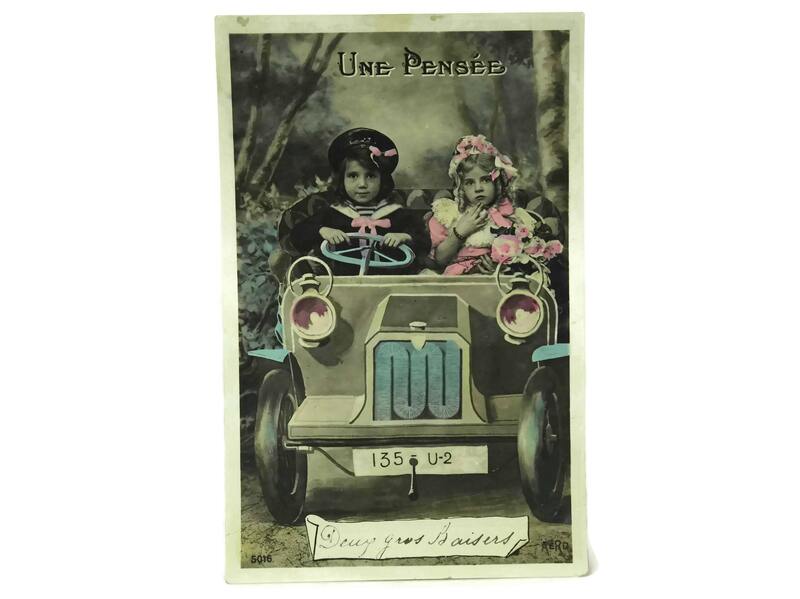 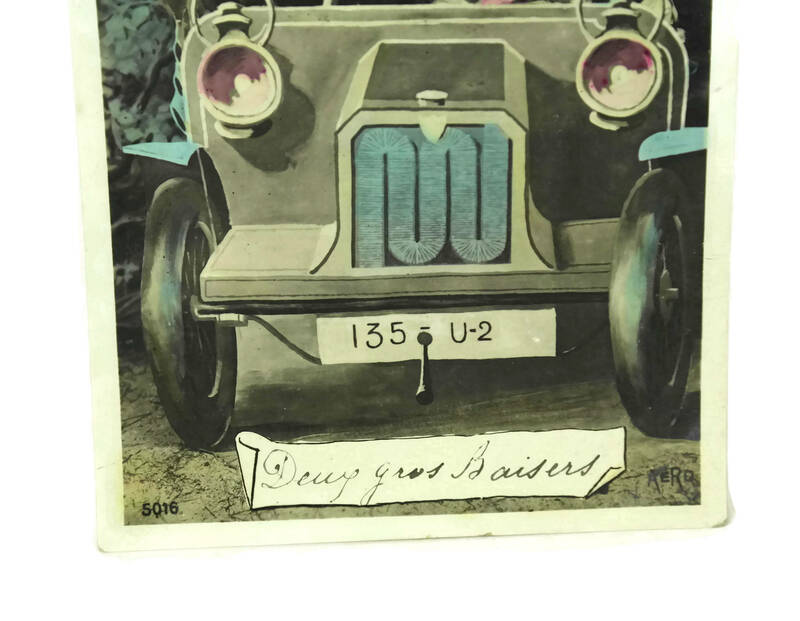 The antique French postcard is in good condition with some signs of age including light marks and wear to the paper.